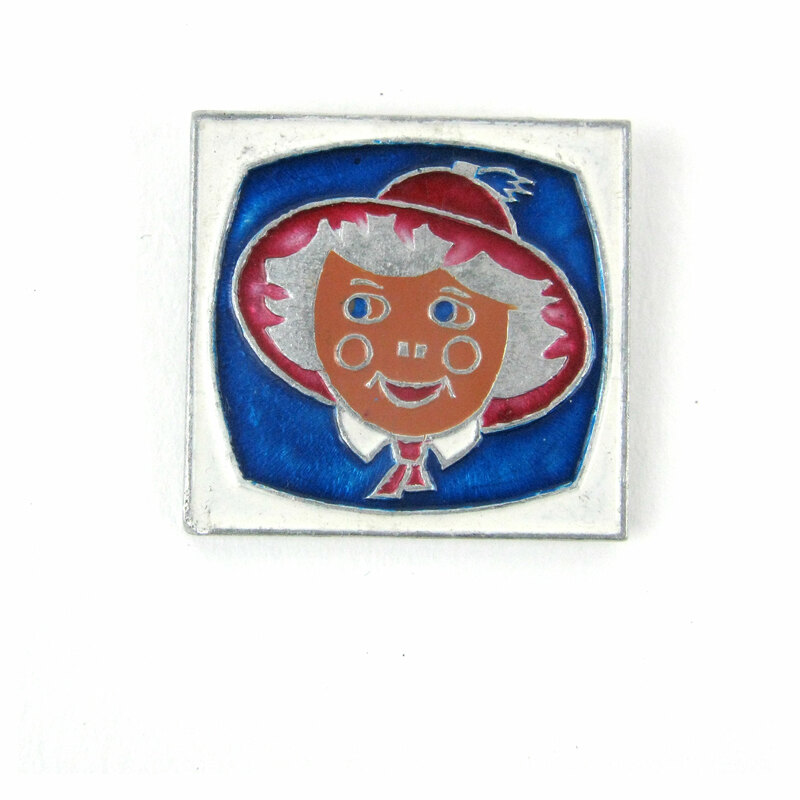 A cute vintage enamel badge of a smiley person with rosy cheeks wearing a large red hat. They’ve got a shirt and tie on too! 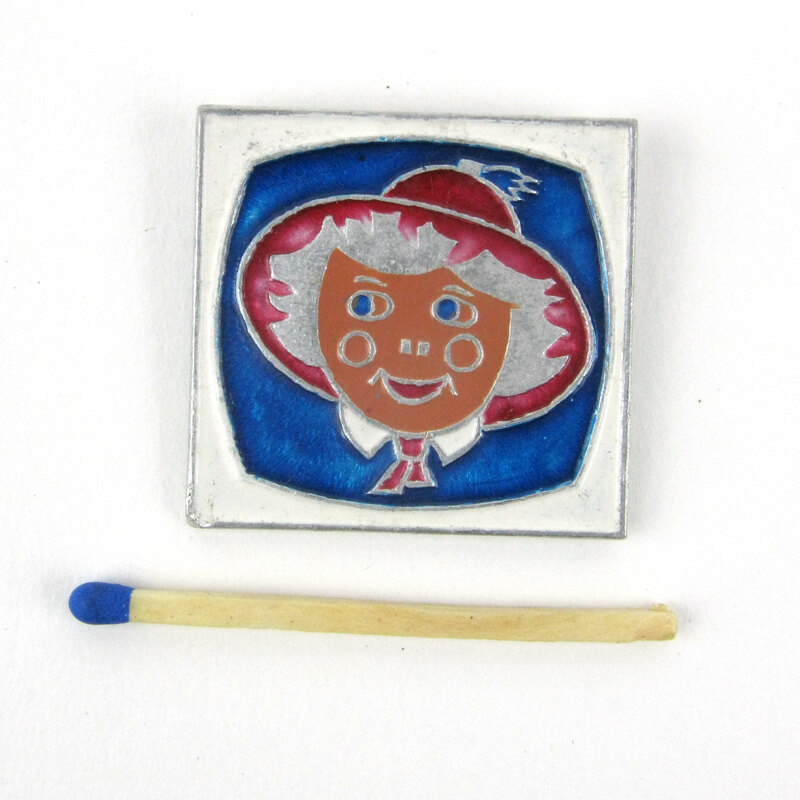 A cute vintage enamel badge of a smiley person with rosy cheeks wearing a large red hat. They’ve got a shirt and tie on too! 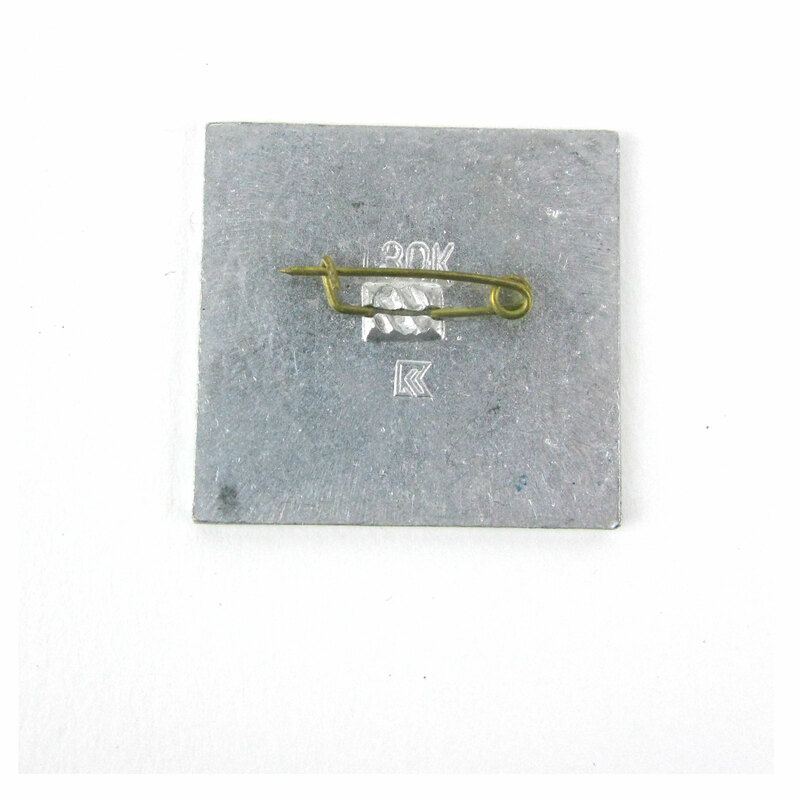 This badge came from Ukraine and no doubt has many a story to tell. In good condition with mo visible chips.